MORE THAN 130 NATURAL TOXIN-FREE DIY HOMEMADE SKIN CARE BEAUTY RECIPES! - Universal face masks for all skin types. - Lotions and cremes for oily, dry, and mature skin. - Anti-aging and rejuvenating serums for the face and eye contour. - Natural remedies for acne, pimples, blackheads, etc. - Gentle whitening treatments for brighter complexion and radiant skin. 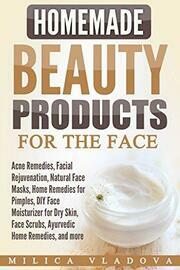 - Cleansing and stimulating face scrubs and exfoliators. 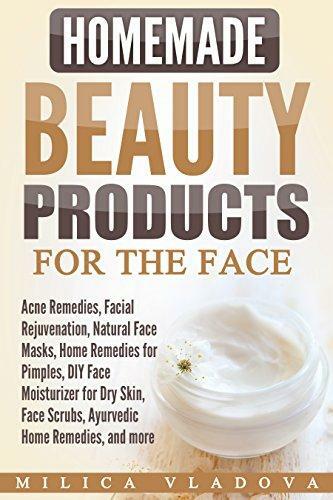 Invest in your natural organic beauty and health while helping the Earth from toxic imprints with "Homemade Beauty Products for the Face"!